Shipping and Logistics has long been one of the biggest contributors to climate change. In 2012, shipping accounted for 15% of NOx, 13% of SOx and 3% of CO2 emissions in the entire globe. When you look specifically at shipping in Europe, these numbers increase slightly, and when you consider road transport and logistics, these figures skyrocket. But this also means that by employing optimised practices and delivery services, businesses can drastically reduce their carbon footprint. Regardless of what some, well-known, politicians may think, the global scientific community has labelled climate change as a global emergency and we need to begin introducing green methods of business to even hope of preventing irreversible damage. Transport and logistics businesses need to drastically rethink some of their standard business practices in order to lessen the emissions caused by the industry. This can be slightly scary for some. Many businesses fear that introducing green practices are likely to affect profits and damage trade, though this is not the case. P&G, the American shipping firm, have cut their environmental impact by half. Using more energy efficient techniques, reducing their CO2 output, effectively managing their waste and water, the business has saved almost $1bn in outgoing costs. Naturally, streamlining processes and routes not only benefits the environment and the world around us, it also means that products are delivered quicker and more efficiently. By rethinking transport routes and finding fast, reliable and cost-effective delivery services to Europe, for example, UK businesses can expect to make significant, tangible gains. The responsibility of protecting our environment doesn’t just lie in the hands of the freighters and transporters. You can make a difference in your own warehouse. Aim to cut your waste as much as possible. This is easily done by moving your warehouse from paper to digital methods. 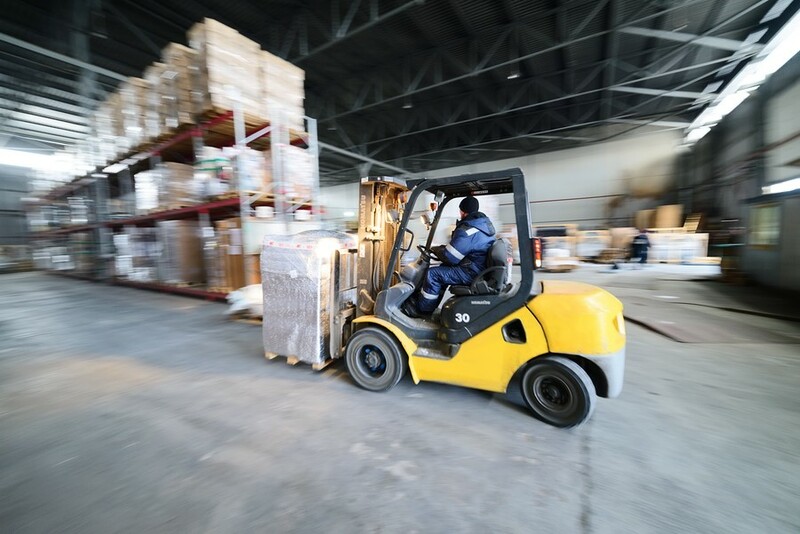 Not only will you be reducing your waste output, saving you money in waste management, but you’ll likely be streamlining your warehouse and distribution processes as well.